Select Size: Select SizeM/L - 36/38 This item is currently out of stock! 1" wide women's rhinestone-studded fashion belt. 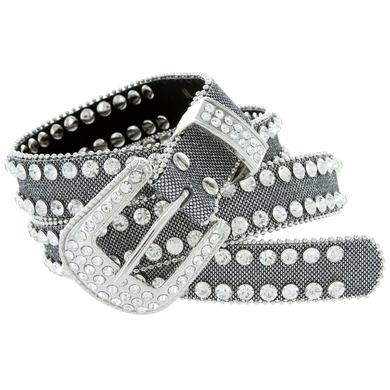 2 rows of clear rhinestones around the belt with rhinestone-adorned buckle set.